Although the main thread in our story is the transition of Normandy from a small agricultural hamlet to a dormitory village, there has been a certain amount of industry based here. The village has even boasted such exotic activities as an imitation jewellery factory at Vaglefield Farm in the 1940s, but this did not last very long after local villagers complained about it. 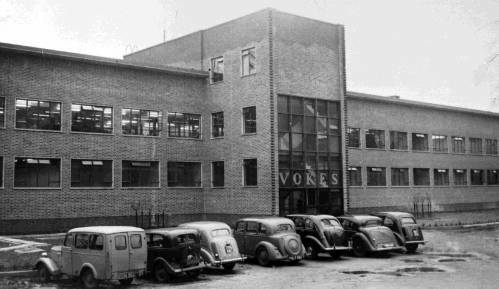 The local history of Vokes, probably the largest employer in Normandy, goes back to World War II when the Company bought Henley Park as a replacement for their bombed factory in London, but the history of Henley Park itself goes back to the 11th century. At the turn of our century Henley Park was still a gentleman's residential and sporting estate, occupied by Lord Pirbright, his wife and nine servants. During World War I it doubled as an Auxiliary Military Hospital then resumed its role as a mansion house under the occupancy of Edwin Ramsay Moodie, referred to as the 'last lord of the manor'. Since then the historic mansion of Henley Park has undergone dramatic transformations, from gentleman's country residence to corporate headquarters to company sports club to dereliction and it has now undergone a further transformation back to quality residences. There were a lot of local objections to Vokes establishing itself at Henley Park, mainly from local gentry who knew that the factory would attract all the local labour and they would have to pay a lot more to get people to work on their estates. However, the emergency wartime powers overrode all objections. Vokes originally occupied the mansion to carry on their work of making filters, a vital cog in the war machine. The Company worked flat out during the war. On one occasion the invasion fleet from America bound for Italy was stuck in the middle of the Atlantic with clogged engines. 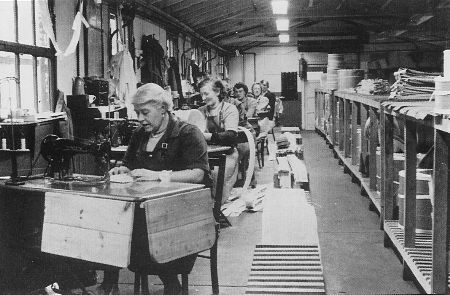 The staff at Henley Park worked night and day for three weeks, sleeping by their machines in the workshops, producing new filters that were flown out and parachuted down to the fleet, which was thus able to resume the invasion. The logistic advantage given the Allied forces by their efficient air and oil filters - not possessed by the Axis - was a major factor in ultimate victory. Mr C G Vokes ran the company very much as a 'benevolent dictator' and was a fatherfigure to his staff. When he asked about forming a union they replied "you are our union". When the Ministry insisted on a static water tank on the premises it was his idea to create it in the form of a swimming pool. During the war the Company did well but the extreme hard work affected Mr Vokes' health, which deteriorated during the late 1940s and 1950s. He resigned as Managing Director in 1950 and died in 1961. The efficient air and oil filters produced by Vokes at Henley Park during World War II gave the Allies a significant logistical advantage over the Axis forces. 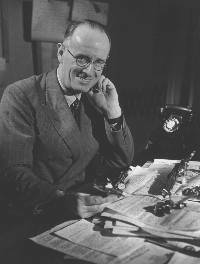 When the emergency powers were relaxed after the war the Company had a battle from 1947 to 1950 to be allowed to stay at Henley Park, and it was probably the influence of certain notable local figures such as Archibald Graham Brown, Mayor of Guildford, that ensured their success. There was also a considerable furore about re-opening the footpaths. They were all completely closed during the war for security reasons but afterwards groups like the Ramblers Association wanted them all reinstated exactly as they appeared on pre-war maps. The Company was unhappy about the path that runs across the slope just to the south of the mansion and offered instead to open a new, more pleasant path lower down through the formal gardens. However, the ramblers insisted on keeping exactly to the pre-war route, so to maintain security the Company had to erect a chain-link fence and top it with barbed wire. The rooms of the mansion were used for different purposes at various times by Vokes. In the 1950s the Company Research Director, the Company Engineering Director (Mr. G H "Tony" Vokes), the Company Director and Chairman of the Vokes Group (Bert Osborne, who died suddenly on the morning of Sunday the 26th April 1998 at age 89 years) and the Company Secretary (Jim Phillips) had offices in the ornate rooms on the ground floor. Tony Vokes' office had been the 'Morning Room' when the mansion was still a gentleman's residence and it was known as the 'tea room' in the 1950s. It had a painting in the middle of the ceiling and much ornate plasterwork. Mr C G Vokes the Managing Director and his secretary had offices on the north end of the first floor and Mr Vokes' flat was at the south side of the first floor. Ted and Margaret Queening, who subsequently retired to 'Deyrolles' on Cobbett Hill, had a flat at the south end of the second floor, with magnificent views across to the Hog's Back. There was a door from the attic over the billiard room on to the flat lead roof and the Queenings used to have tea up there in the summer. The Company's drawing office was in the 'Noble Drawing Room' on the ground floor of the western extension and the Company's dining room was in the 'finely proportioned dining room' in the semi-circular projection in the middle of the west face of the mansion. Upstairs, in what had been the billiard room, was the Company's sales office. The stable block to the north-west of the mansion was used as offices and a despatch area. About 1963 Vokes moved out of the mansion into the present factory, which had been built in 1958, and the mansion became the sports and social club for the Company's 1,200 employees. Vokes spent £8,000 on providing facilities "which any country club would envy", including a licensed bar, a ballroom, a jive room for younger employees, a table tennis room, a children's room, a darts room with fruit machines, a billiards room and a room for golfing instruction. The club had use of a swimming pool, a stocked fishing lake and football and cricket pitches. Edward Moore was appointed Sports Club Manager by the Company in March 1963, taking-up residence with his wife and daughter on the top floor of the mansion. Until June 1979, when he left to conduct his own business after 16 unforgettable years, Edward managed the extensive sport facilities, a superior bar and a successful shop with a turnover at times of �45,000 per annum catering for the sports and social wants of a workforce of well over 1,000 employees. In 1972 the Thomas Tilling Group acquired the Vokes Group and sold the mansion and its immediate grounds to a property developer in 1982. At the turn of the century Henley Park remained the centre of the Company's filtration technology, employing 250 people. In 1991 Vokes celebrated its 50th anniversary at Henley Park with an open day and fête, "an afternoon of exciting events for all the family".